“Last weekend Abracadabra parties delivered a brilliant 2 hour party for my 5 year old and his friends. All I had to sort the food and cake. This kids’ were engaged, and entertained from start to finish. 100% recommended and really refreshing to watch a pro at work”. “Just a quick message to say thank you for your show at Archie’s party. This kids had a fantastic time and Archie couldn’t stop talking about the puppets on the way home. Thanks again”. “We booked abracadabra parties after being let down by a local entertainer. They were able to fit us in, and boy did they deliver….2 hours of brilliant entertainment. Thank you so much for fitting us in and making the kids giggle so much! Hopefully we will book you next year too”. “I never usually review the entertainment but Abracadabra parties are certainly worth me taking 5 minutes out of my day to do this in return for a fantastic party for my little girl 3 weeks ago. Really professional, punctual and most of all entertaining. My little girl had a brilliant time, as did the parents who really felt included in the party. I will definitely recommend abracadabra parties to anyone who asks”. “Thank you so much for Ellas party today, she had an amazing time and her friends thought you were fantastic. Big thumbs up”. 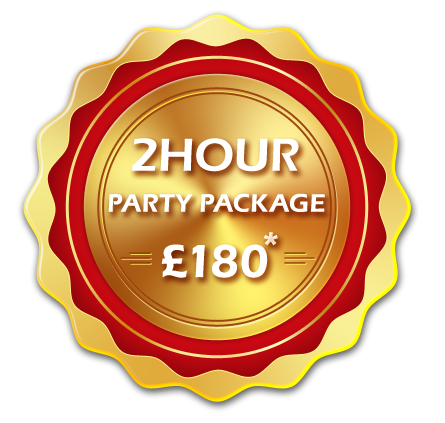 For more information, please do not hesitate to contact us on enquiries@abraparties.co.uk and we will aim to reply to you within 1-2 hours.